on Friday, 11 March 2016. 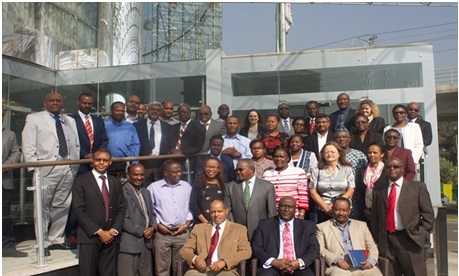 The Expanded PI Council group photoThe Expanded PI Council Meeting was held on 18 and 19 January, 2016 at Marriott Apartment Hotel, Addis Ababa, Ethiopia. Issues discussed included overview of the of Expanded PI Council, its name and Constitution, MEPI Year 5 report, MEPI close out and Year 6 MEPI Symposium. The meeting was attended by the ACHEST Executive Director and the Director, Education and Training.